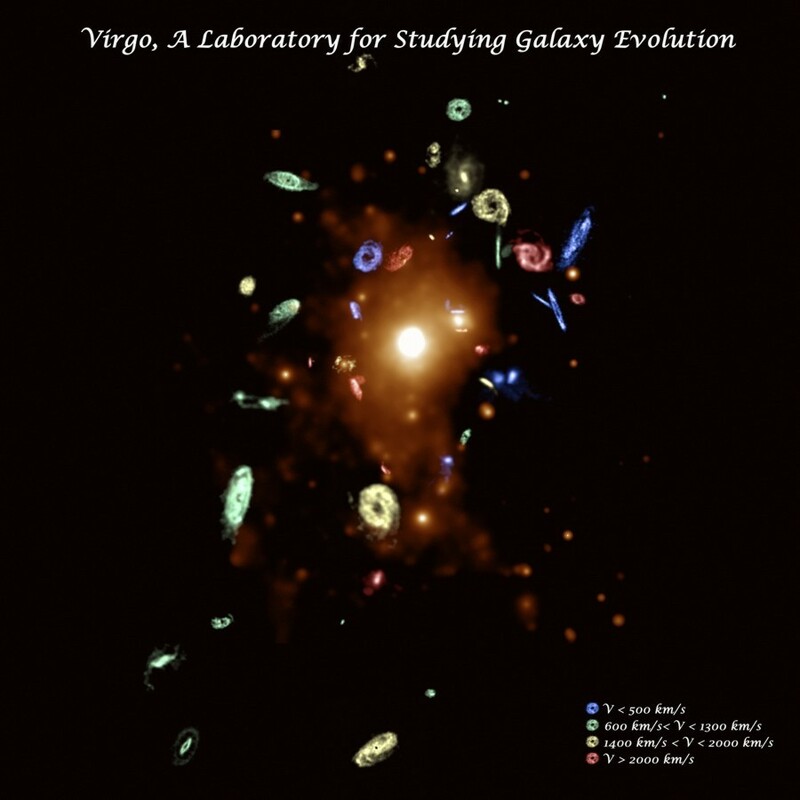 The VIVA Survey (VLA Imaging of Virgo in Atomic gas) is an imaging survey in HI at ~15" resolution in 53 late-type Virgo cluster galaxies, including 48 spiral or spiral-like galaxies, and 5 irregular systems. These 53 systems cover more than a factor of 20 in mass, and they are located throughout the cluster, from the dense core to the low density outer parts. They span a range in star formation properties from anemic to starburst. They contain undisturbed and interacting galaxies, and include the best candidates for strong ISM-ICM interactions. With this sample one can study in detail the various physical mechanisms that are thought to drive the evolution of galaxies in clusters.The data can also be used to constrain hydrodynamical simulations. In order to understand how clusters transform galaxies, we are using the VIVA HI data together with other data sets at other wavelengths, including the infrared (Spitzer telescope and the SPITSOV sample), the ultraviolet (GALEX), optical broadband (SDSS and WIYN) and H-alpha (WIYN). and radio continuum (VLA). Most of the VIVA data was obtained by us for this project, although we have also included reprocessed archival data on several Virgo galaxies that were of comparable quality. All the galaxies with new data were observed in the CS configuration, and a few were also observed in the D configuration. Further information on the VIVA survey can be found in our atlas journal paper (Chung etal 2009).